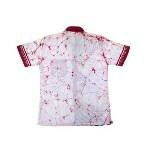 Batik is a method used in dying materials, usually in an artistic manner. The process involves wax and dye. Essentially the process is quite simple, although in practice it is a very difficult task. Wax is brushed onto a fabric, clothes or canvas, and then the fabric is dyed. The wax will protect the areas on which it is applied from the dye. 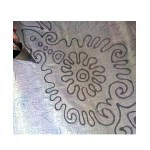 The result is that the fabric is dyed in all areas except where the wax was placed, leaving a design or pattern. This process can be repeated many times and can lead to very elaborate pictures. Those especially skilled can create art that is very impressive. 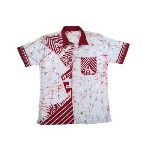 Our designs based on ancient Sri Lanka designs. Most important thing is quality of the products. It’s 100% Cotton & washable export quality fabric. We have a proud about the quality of the products! 2. If you have a problem or question regarding your transaction please contact me via etzy before leaving any type of feedback. 2. Order will dispatch 1-5 business days after clear the payment.